Practice by reading the dialogue with your tutor. After you are done, switch roles and do it again! Kevin: I have a lot of time on my hands. Do you have more work for me to do? Dorothy: Unfortunately, it’s very slow right now. I hope to have a few extra projects soon. Kevin: Too much free time makes the work day long and boring. Maybe I should take a little time off from work. Dorothy: I wish I could take a long vacation now. However, I don’t have many vacation days left. Read the diagrams and skills below out loud with your tutor. A) Most nouns have singular and plural forms. They are countable nouns. B) Some nouns only have one form. They are uncountable nouns. There is no money in my bank account. There is a lot of money in my bank account. C) Many uncountable nouns refer to substances. e.g. chocolate, water, coffee, milk, sugar, salt, cheese, bread, rice, wood, glass, plastic, soap, toothpaste. Do you have any chocolate? The milk is sour – let’s make cheese. Rice is only edible when it has been cooked. D) Many uncountable nouns refer to abstract ideas or emotions. e.g. love, sadness, happiness, education, knowledge, and grammar. We like to experience happiness. E) You can use an and a with singular countable nouns. e.g. an umbrella, a wheel, a mistake. It’s raining so I need an umbrella. This is a job for Superman. F) You can use plural countable nouns alone. e.g. apples, bees, and clouds. There are clouds in the sky today. There are bees making honey. We eat apples for breakfast. G) You can’t use an article with an uncountable noun. e.g. time, sand, and electricity. We need electricity to use our heater. I lost track of time and we stayed up very late. The beaches in Brazil have very nice sand. H) It is very common in English to use “some” or “any” with plural nouns and uncountable nouns. e.g. They don’t listen to any advice. We don’t have any toys for the children. There are many lessons in life, this is just one more. It is important to have some knowledge of grammar. I) There is a range of nouns that are uncountable in English but are countable in other languages. I’m looking for a job. I’m looking for work. What a beautiful view! What beautiful scenery! It’s a nice day today. It’s nice weather today. We had a lot of bags and suitcases. We had a lot of luggage. These chairs are mine. This furniture is mine. It was a good suggestion. It was good advice. Using quantifiers with countable and uncountable nouns. Read the diagrams below out loud with your tutor. Go over the vocabulary and expressions below with your tutor. Try using each word in a sentence about your own life. Fill in the blank with a lot of (lots of), many, or much to complete the sentence. The store has a lot of colorful umbrellas for sale. There aren’t ___________ tutoring sessions available on weekends. His English teacher gave him ___________ advice about the IELTS exam. Too _______ laughter isn’t a bad thing. Dogs get confused when too __________ commands are given at one time. Fill in the blank with few, a little, a few, or little to complete the sentence. There are only a few pieces of luggage remaining in the baggage claim area. The (1) ________ serious arguments we have hurt our relationship. Sometimes (2) _________ laughter is good for the mind and soul. After (3) _____________ sessions of English, you should see some improvement! Some people say you will have (4) ________ bliss in life if you are always worried about earning more money. 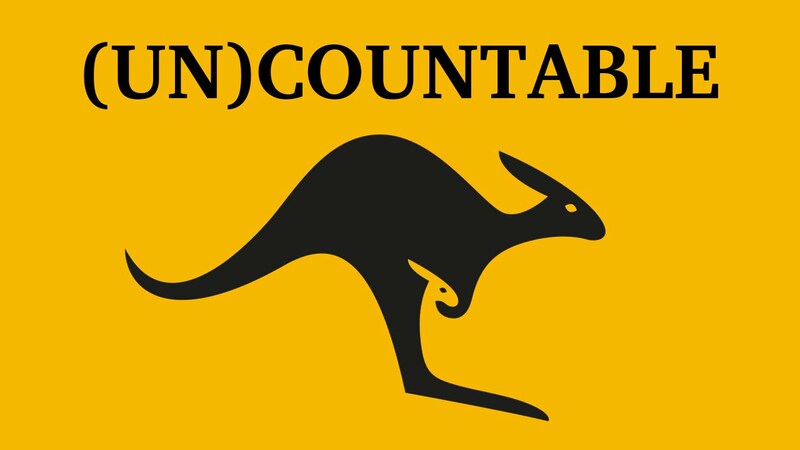 Determine if the word is countable or uncountable. Write a sentence using the word with one of the quantifiers you learned in this lesson. weather (uncountable) We have a lot of good weather in my hometown. Pick the correct countable or uncountable noun and the quantifier to complete the sentence. I need a new suitcase/luggage, but I don’t have much/many money to buy one. The (5) scenery/weather is beautiful. However, I don’t see a few / many trees. If we buy new (6) furniture/heater, do you think we could spend a few / a little extra dollars to replace the carpet? Some (7) laughter/advice is of few / little help when it doesn’t make sense. I have (8) some / much leftovers if you want to eat a little / few. When was the last time you were looking for a job? What kind of work do you enjoy? How is the weather today? What kind of day is it? When you travel, do you bring a lot of luggage? How many bags do you bring? Describe the furniture you have in your house. What is your favorite piece? When was the last time you gave someone advice? What suggestions did you give?